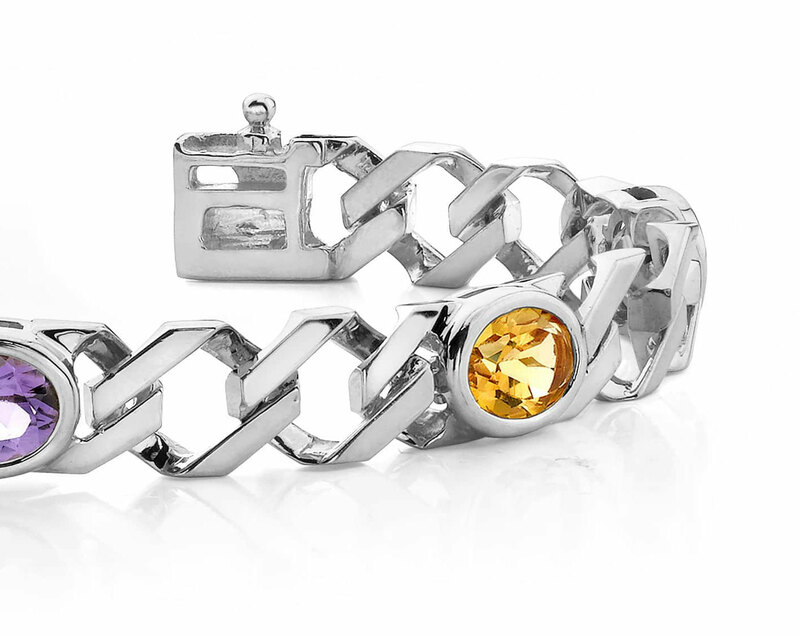 Looking for a bracelet that is both classic and unique? 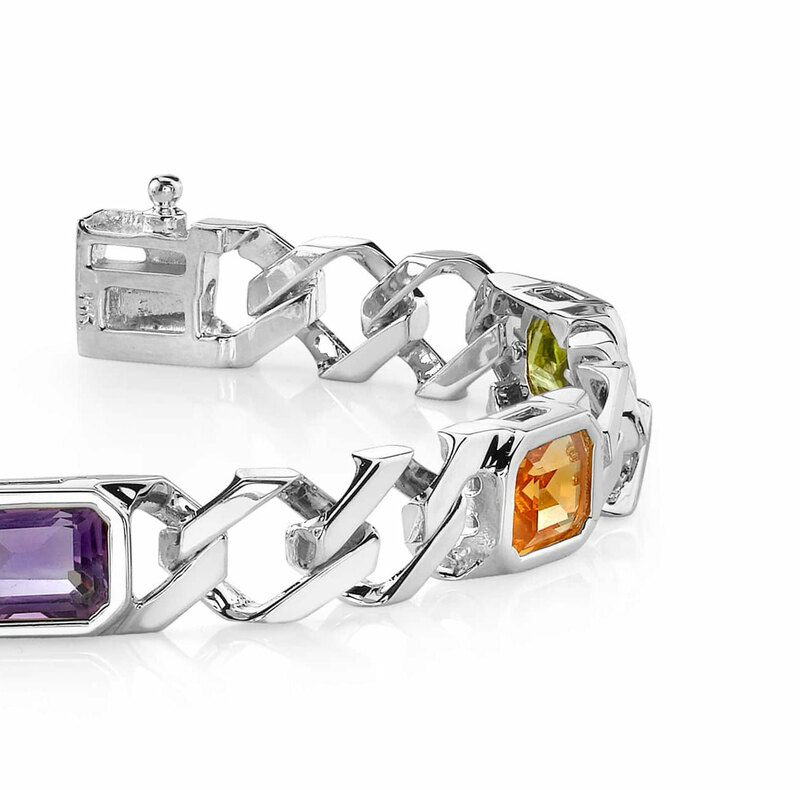 This gemstone bracelet features five octagon shaped gemstones set in your choice of yellow gold, white gold or platinum. 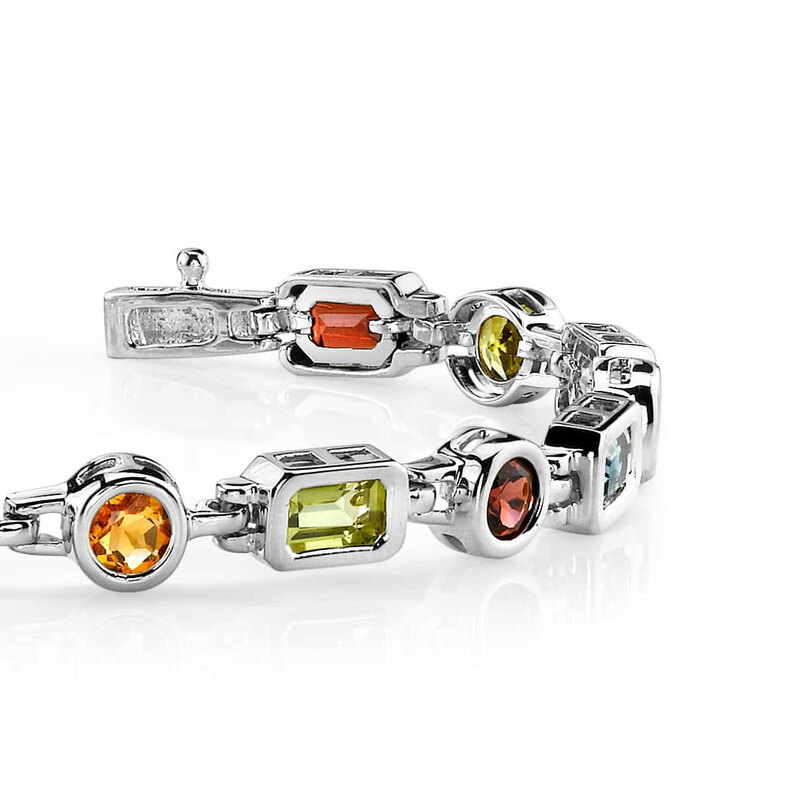 You can choose from multi-colored gemstones or customize it with five of the same gemstone. Either way, you’ll get years of wear from it and will be happy that you did! Effective Carat Weight: 6.25 ct.
Stone Carat Weight: 5X1.250 ct.